In Golden, British Columbia, seasons aren’t as cut and dry as you might think. The spring months of April, May and June offer a crossover of the best bits of snowy winter and sunny summer. The long days keep getting longer, leaving plenty of time to extend your adventures into the afternoons. 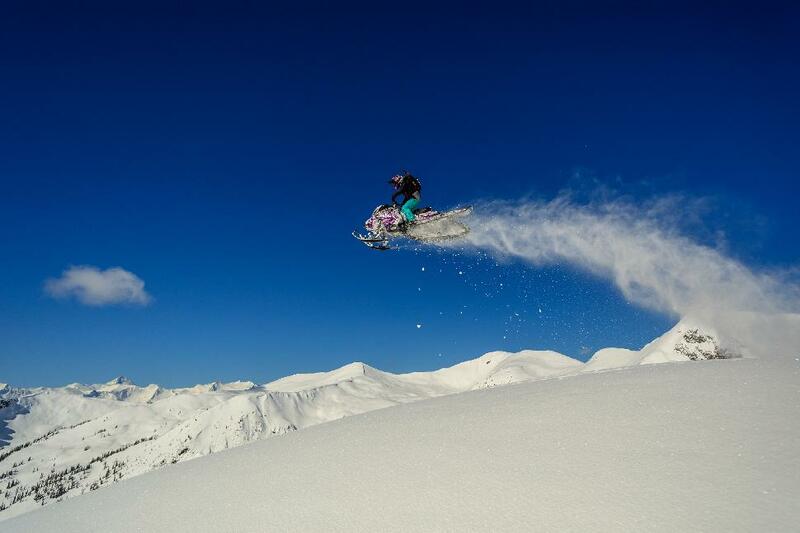 During this crossover season, Kicking Horse Mountain Resort doesn't close until the second weekend in April, snowmobiling can be enjoyed into May and backcountry skiing can go as late as June. At the same time, biking and hiking trails are opening. As soon as the ice clears on the banks of the Columbia River, fishing season is on for agile anglers. And once the grass is free of white stuff, the Golden Golf Club tees off. A visit to Golden in spring yields winter in the alpine and summer in the valley, so you don’t have to choose between the two—you can get the best of both in one day. With a full winter of alpine snowpack around Golden, spring is the time to head out on a multi-day backcountry ski traverse. And none are grander than the classic Bugaboos to Rogers Pass Ski Traverse. Starting with a heli-lift from Golden, this epic covers some 120 kilometres of alpine terrain—with multiple chutes, bowls and icefields en route. 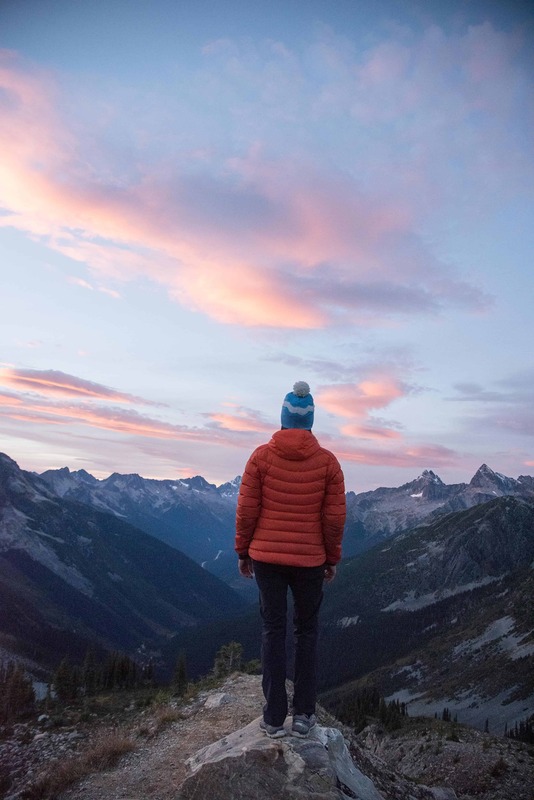 A mix of camping plus a few welcome alpine huts offer nightly respites—in between, it’s the adventure of a lifetime as you gain roughly 10 vertical kilometres while exploring the rugged ranges of the Selkirks, Purcells and Bugaboos. Skiers can expect to take between eight and 12 days to complete the full traverse. Those in the know choose March and April as the months to tackle this route, as temperatures are mild, winter storms are mostly past, and the snowpack is safer and more reliable. 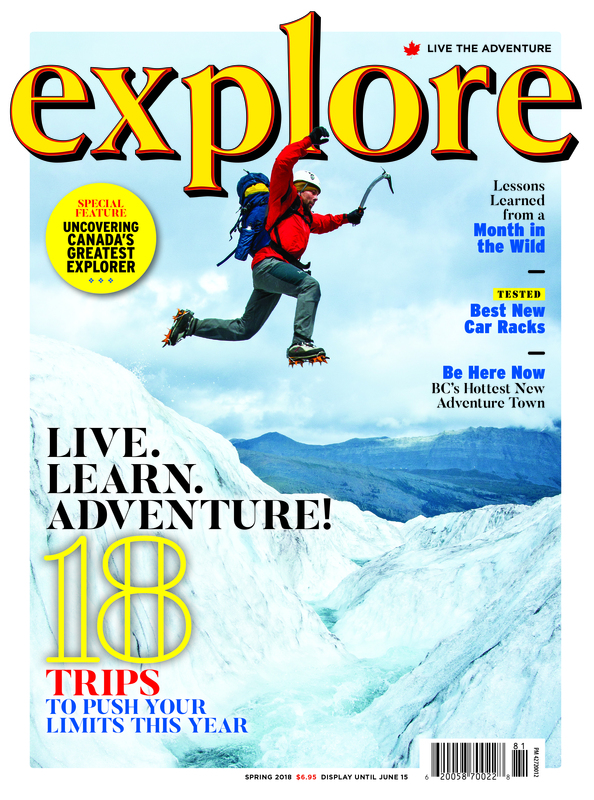 Of course, it’s for experienced ski-mountaineers only. 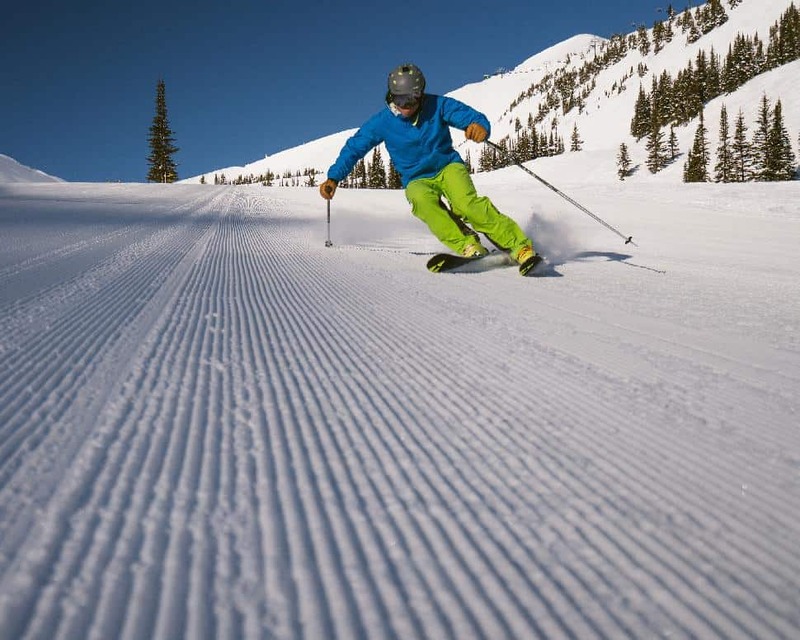 If you’re more of a recreationist, head to Kicking Horse Mountain Resort. 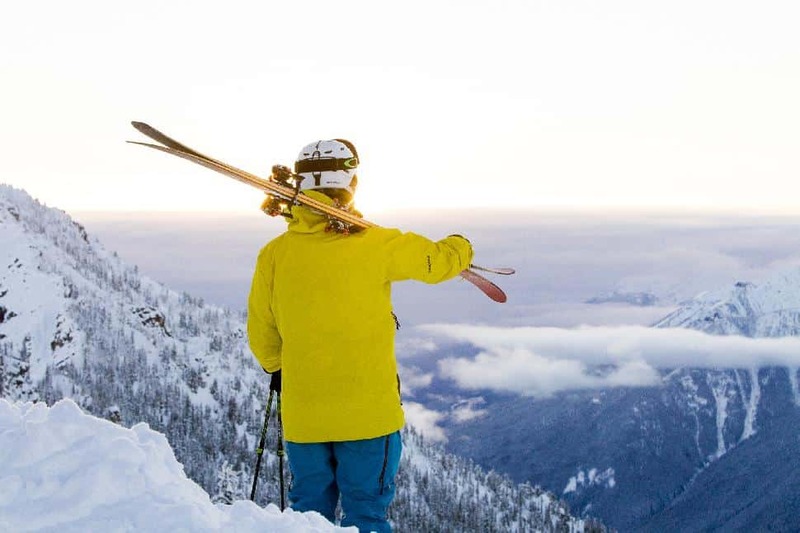 Located just a 15-minute drive from downtown Golden, this impressive ski hill boasts 1,300 vertical metres of terrain, more than 1,400 skiable hectares, 85 in-bounds chutes and has even opened a new boot pack-access area up to Ozone, the venue for the only North American stop on the Freeride World Tour. Or, you can boot pack up middle ridge into dubbed Rudi’s Bowl, which was once used as a part of a heli-ski tenure. Kicking Horse is open well into spring (April 14 in 2019), with fun and lively après vibe as skiers and riders soak up the spring sunshine post-shred. Snowmobilers with their own equipment can explore as late as May. If you need to rent or want to go on a tour Golden Snowmobile Rentals and Rocky Mountain Riders typically rent and run tours until the middle of April (depending on demand). Golden has three mountain biking trail networks. The Mountain Shadows trail network opens first, typically in late March or early April. The CBT and Moonraker trails open in late April to mid-May. Worried about getting to the hill? All the trails are accessible from town without a shuttle. 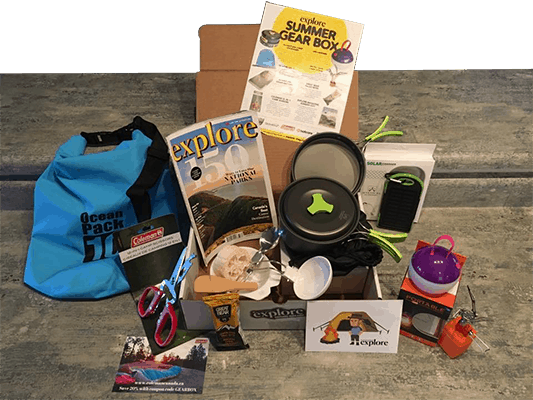 Want to get further out? Go for a backcountry ski in the Dogtooth range of the Purcells in the morning, then stop at Cedar Lake for a ride through the Moonrakers in the afternoon. With snow still blanketing the alpine, spring hikers should stick to the valley. Goldenhikes.ca is a great resource for trails around town. The earliest to open include Canyon Creek, Cedar Lakes,Thompson Falls. Wapta Falls in Yoho National Park is another amazing early season hike. The access road typically opens in mid-May. The Golden Golf Club is an 18-hole championship course located just five minutes from downtown Golden. It typically opens in mid-April, with the driving range opening as early as late March. Golden Golf Club is routinely named one of BC's Hidden gems because of its location, beauty and undeveloped wilderness location. Fly fishers can start reeling in their catch in late March. 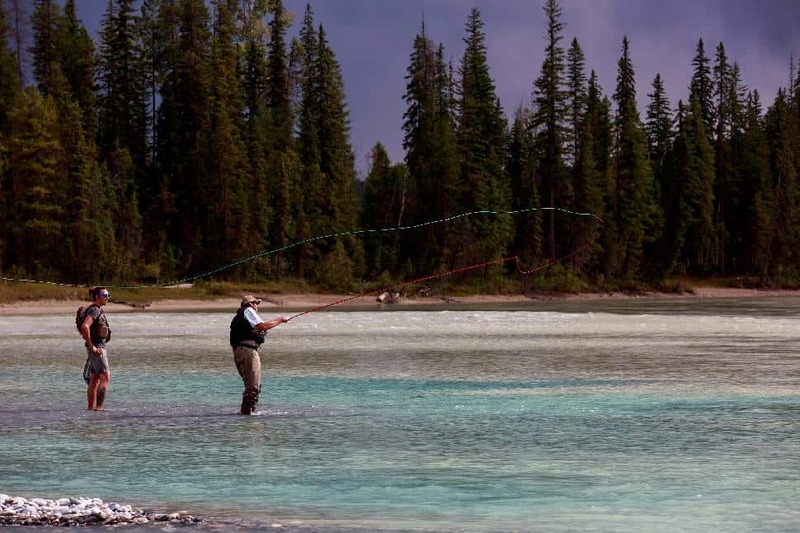 The spring Rainbow Trout run is a must-attend event for serious anglers. As the snow line moves its way up the mountain, the lakes around Golden defrost. 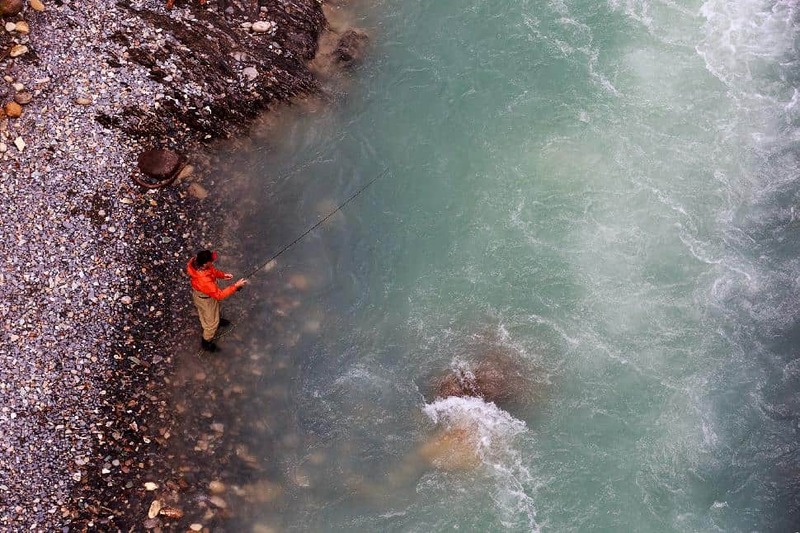 The area is emerging as a must-visit destination for anglers because of the large Bull trout (up to 20 lbs) that can be caught in the Columbia River and its tributaries. After a solid day of adventuring, take a well-deserved break at one of Golden's welcoming restaurants. Meet locals and share adventure tips while sipping a pint at Golden's craft brewery, Whitetooth Brewing Company. For dinner, head to Eleven22, Whitetooth Bistro or the Wolf's Den. Better yet—extend your day of adventure into three and taste-test them all. Trust us, you'll want to stay in Golden during spring season. How will you Live the Adventure and experience two seasons in a day in Golden?